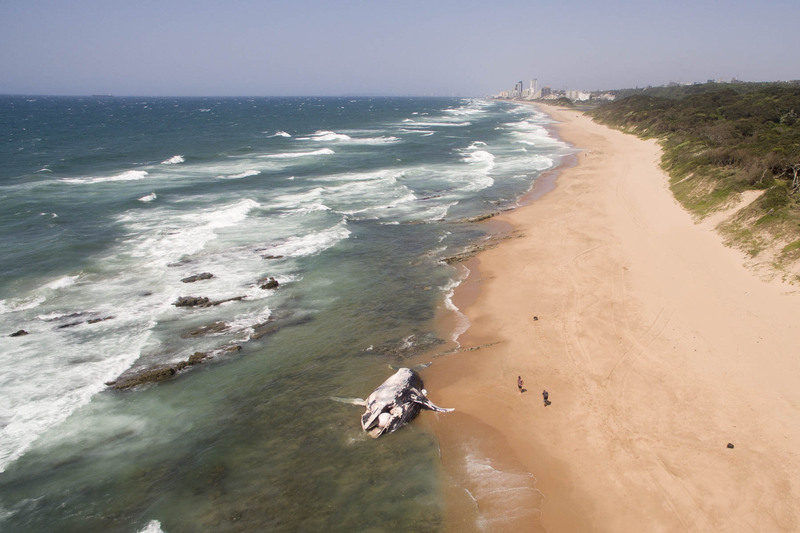 Several beaches between Umdloti and Umhlanga, north of Durban have be closed after a whale carcass washed up just north of the Umhlanga lagoon last night. 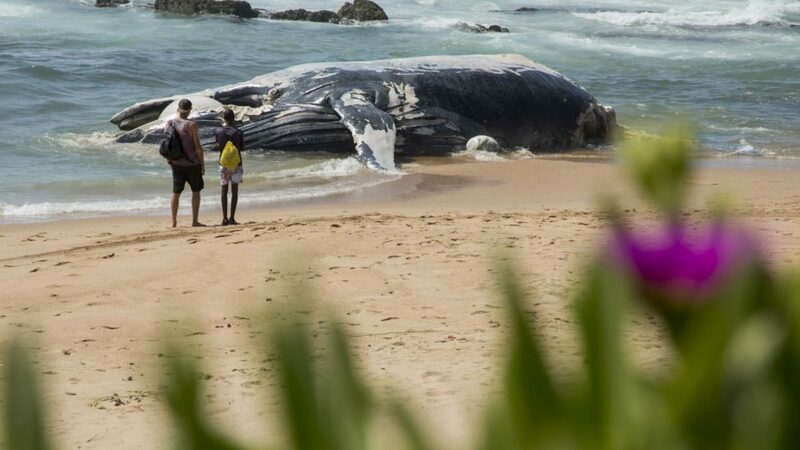 Dr. Jennifer Olbers, Marine Ecologist Ezemvelo KZN Wildlife, has said that they were deciding what to do with the whale. 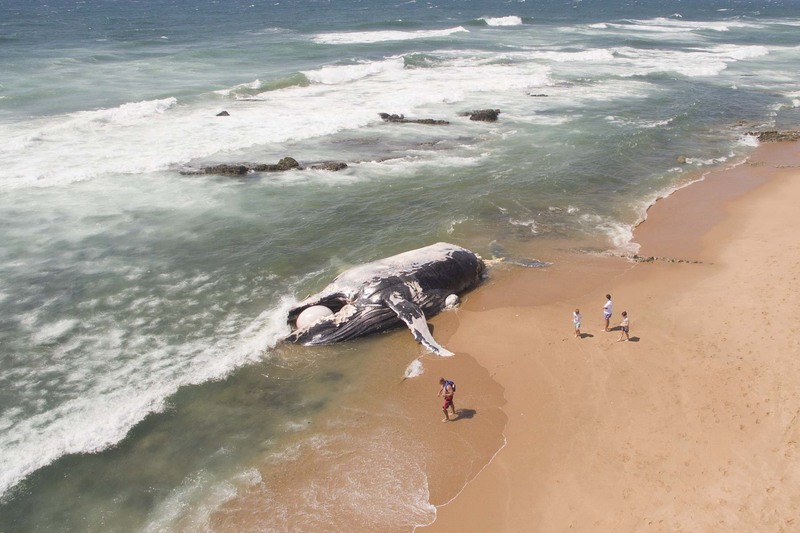 Only a few months ago, a sub-adult humpback whale washed up on Pipeline Beach in Toti. 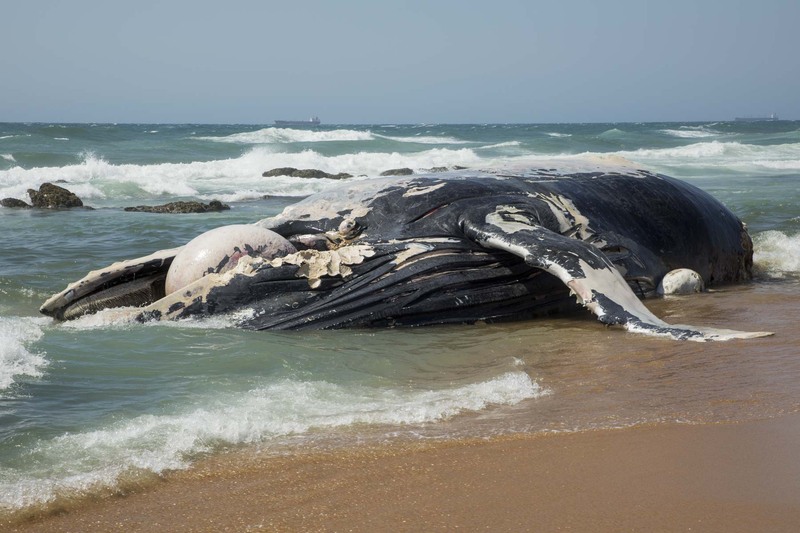 The South African Association for Marine Biological Research (SAAMBR) said dolphins and whales may strand along the beaches of KwaZulu Natal for many reasons, whether this was as a result of natural causes or more anthropogenic ones is yet to be confirmed. Anderson-Reade, of the Natal Sharks Board, says there was significant tiger shark activity around the carcass when it was towed out to sea by the National Sea Rescue Institute. Shark nets will be pulled from the water when conditions allow it.